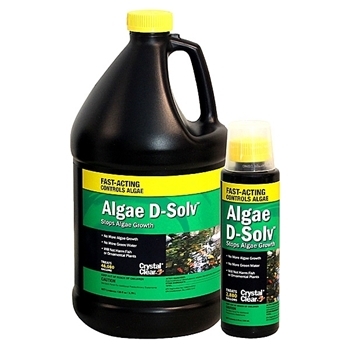 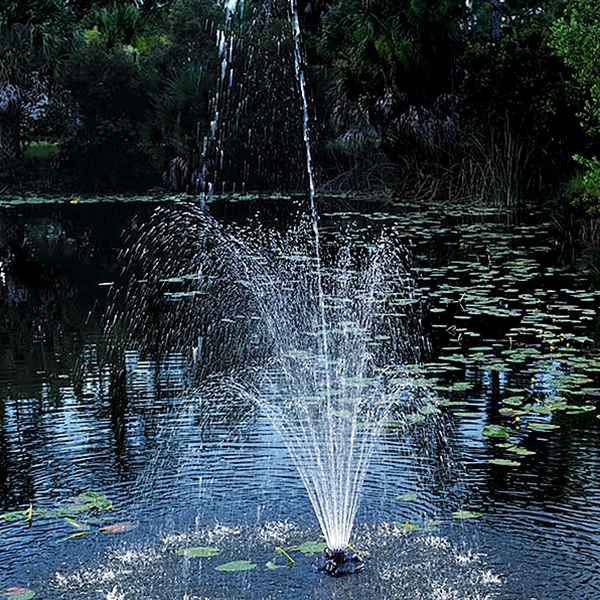 The Oase 1/4 HP Floating Fountain is ideal for ponds up to 1/4 acre. 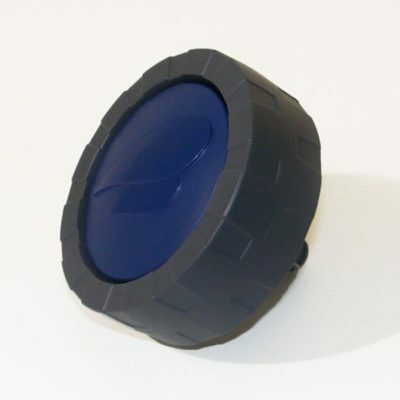 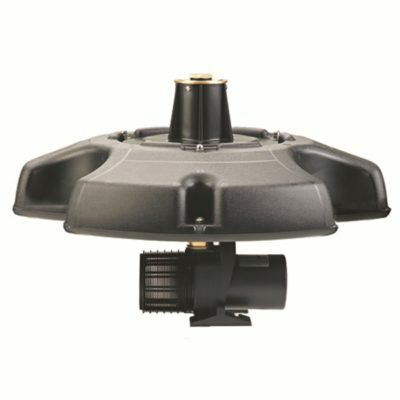 Includes three LED lights with dusk-to-dawn sensor. 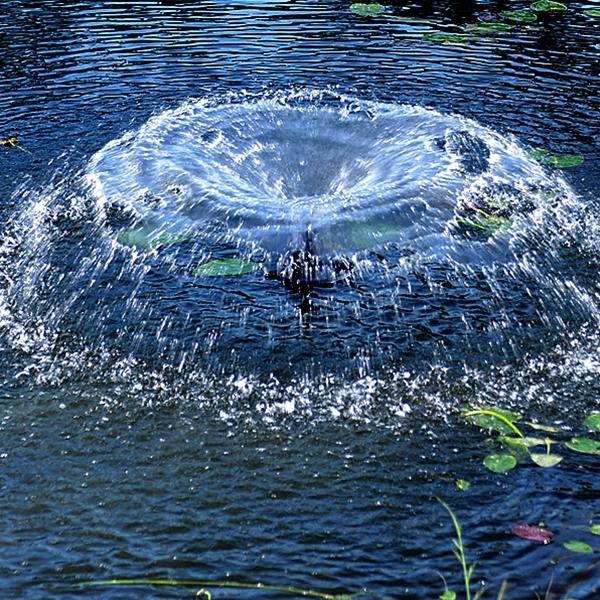 The Oase 1/4 HP Floating Fountain is ideal for ponds up to 1/4 acre. 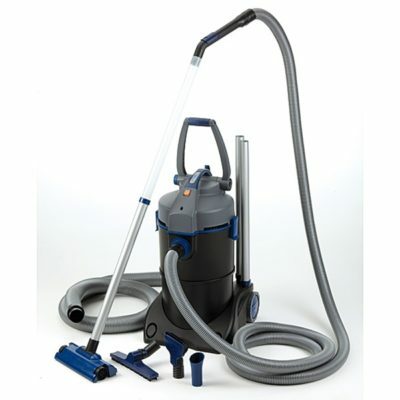 It is energy-efficient, yet powerful. 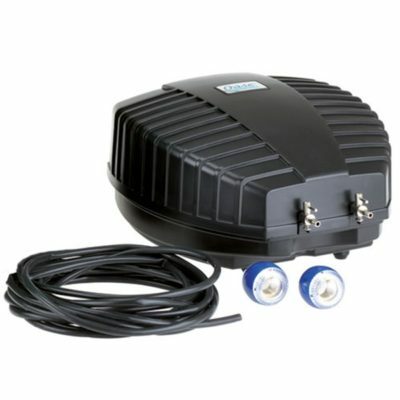 The Pond Boss floating fountain pump only uses 130 Watts of electricity. 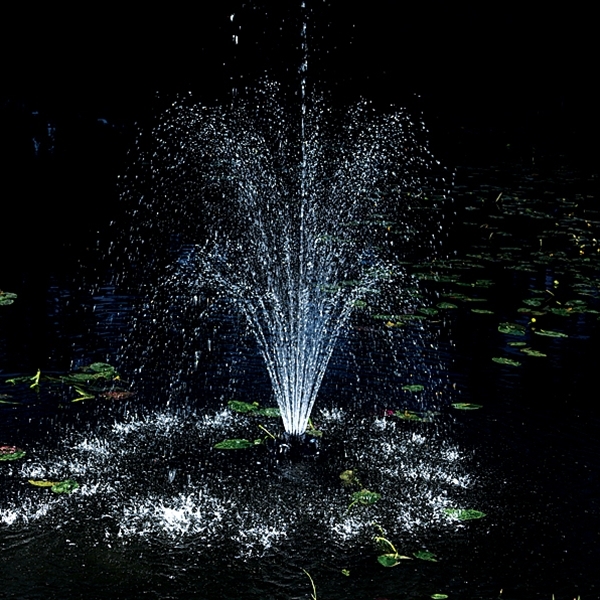 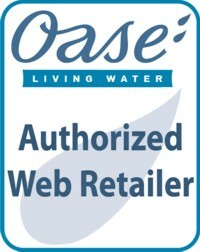 The Oase 1/4 HP Floating Fountain includes three LED lights with dusk-to-dawn sensor. 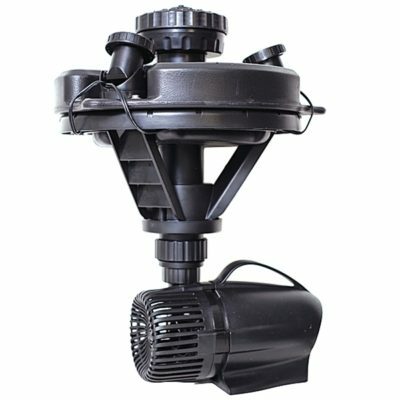 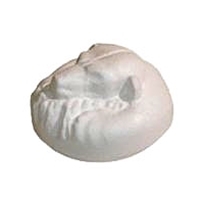 Minimum Operating Depth 2.5 ft.
Single-Tier Display Dimensions 16 ft. diameter x 10 ft. height approx. 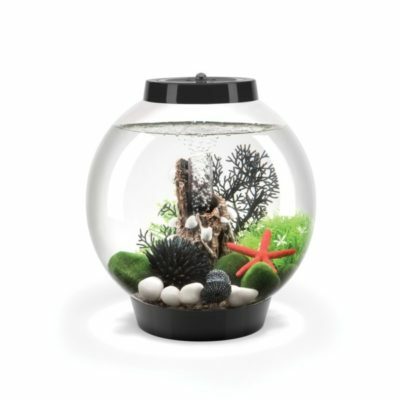 3-Tier Display Dimensions 6.5 ft. diameter x 10 ft. height approx. 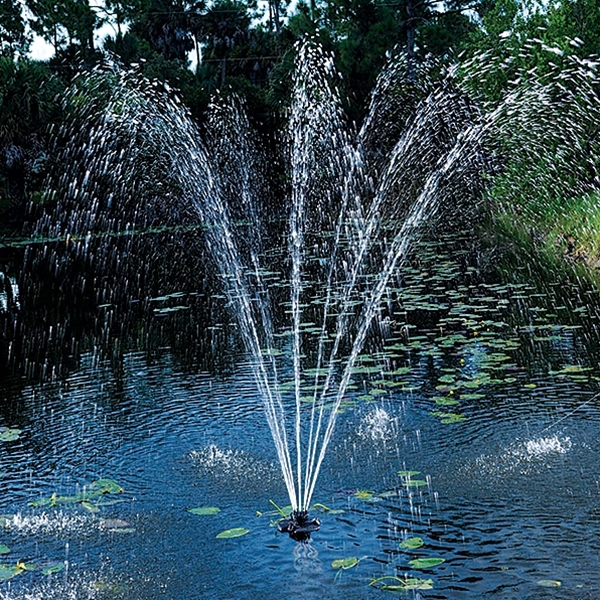 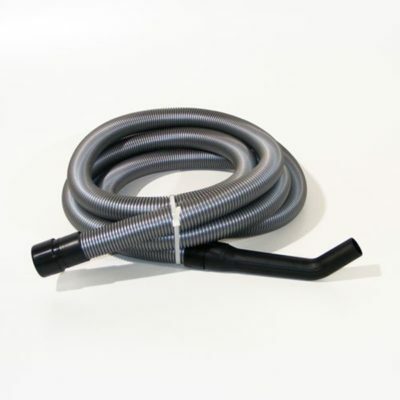 Mooring Lines (3) 25 ft.
Share the post "Oase 1/4 HP Floating Fountain – 1/4 Acre Ponds – FREE SHIPPING"